HOME > Blog > Compliance for Landlords & Property Managers > Can An Active Duty Servicemember Cancel A Lease? There are few individuals more likely to accidentally run afoul of the Servicemembers Civil Relief Act than landlords. There are a number of statutes in place under this law that put a thumb on the scale of interactions between servicemembers and landlords in favor of the former group. While renting to members of the armed forces can be extremely smooth, due to this group’s higher level of discipline, steady income and professional need to maintain a good financial standing, it can also go astray for landlords who are not aware of the provisions included in the SCRA. Many landlords are aware that there are certain situations in which a servicemember is permitted to break a lease without incurring a penalty. Many are less clear on the specifics of these situations, however, which exposes them to significant risk. A full version of the section of the Servicemembers Civil Relief Act pertaining to the termination of leases can be found at the Cornell University Law School Legal Information Institute. 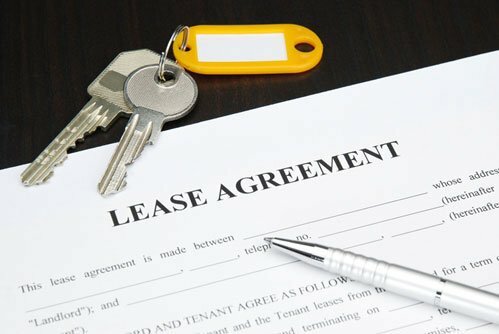 If the lease was signed before the lessee’s entry into military service, the servicemember has the right to terminate the lease at any time after his or her entry. If the lease was signed after the lessee’s entry into military service, the servicemember is bound by the lease as normal unless he or she receives military orders for a permanent change of station or to deploy with a military unit for a period of 90 days or more. Luckily for landlords, servicemembers are not permitted to simply cancel the lease outright. A process must be followed. The servicemember must deliver written notice of the termination and a copy of his or her military orders to the lessor, the lessor’s grantee or the lessor’s agent. This can be accomplished by hand delivery, by private business carrier or by mail. After delivering due notice, the lease is considered terminated effective 30 days after the next rental payment due date, assuming that the lease provides for monthly payments. In any other type of lease, termination is effective on the last day of the month following the month in which the notice is delivered. This is intended to give the landlord sufficient time to find new renters. Unpaid rent is still due, to be paid on a prorated basis. The lessor can’t impose an early termination charge, but other obligations in accordance with the lease must still be paid. This includes reasonable charges for excess wear or damage. Conversely, rent paid in advance for a period after the effective termination date must be paid back to the lessor within 30 days. What else should landlords know? First, it is important to know that dependents of a servicemember are covered under the same protections. For example, if a servicemember and his or her dependent are both included on a lease, both the servicemember and the dependent can terminate the lease. It may be useful to know that someone is only considered a dependent if the servicemember in question is paying for more than half of his or her living costs. Also important to know is that a servicemember’s trip home at the end of a period of service is also considered to be a permanent change of station. Under the Joint Federal Travel Regulation Ch. 5 U5000 B., honorable discharge, release from active duty, transfer to the reserve, retirement and temporary disability retirement are all considered a form of permanent change of station. As such, they are covered under the SCRA. Finally, landlords should be aware that failure to comply with this part of the SCRA is considered a misdemeanor. Holding, seizing or detaining the personal effects of a servicemember who lawfully terminates a lease as covered under these statutes or who interferes with the removal of property can be fined, imprisoned for up to a year or both. For further information, visit New SCRA Lease Termination Law.